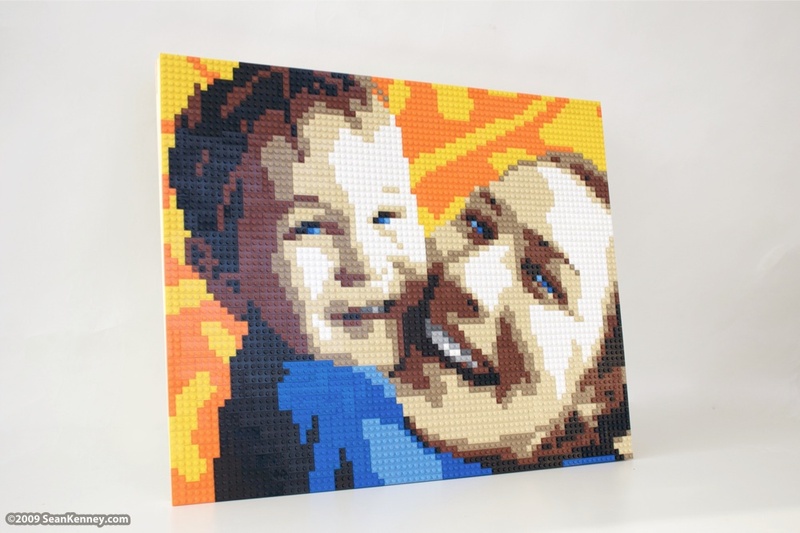 Having previously purchased my bride and groom wedding cake toppers, one woman also decided to commission a LEGO portrait of her and her son, as a gift for her son's second birthday. 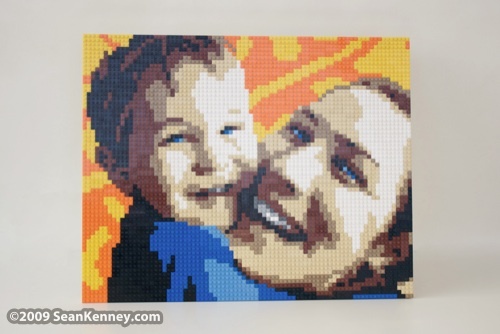 Her son loves to hang around her neck, so I created this portrait based on several photos that she had sent me. 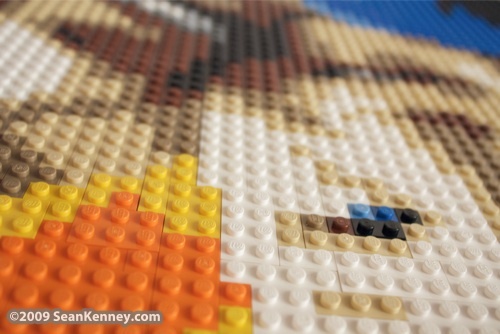 As always, my LEGO portraits are hand-drawn, not computer-generated; I did my best to capture their love and the energy between them.